A shortness of breath is the most common side effect of high alititude and this can be minimized by taking it easy the first couple days, The possibility of altitude sickness was my biggest hesitation in visiting Peru. I had what I believed to be altitude sickness in Mexico City twice, and would not want to repeat the experience. When I finally decided that Peru needed to be on my list of places to visit, I had to materialize a strategy and the best thing I could think of was the standard Diamox in that I got from my doctor. I did take the substance but I cannot say what practical use it had for me. I remember not feeling so great and I met someone there who told me not to take it, that it was, in fact, not recommended by any of the doctors in Peru. At higher altitudes the amount of oxygen mixed into the air is less. This drop in the amount of available oxygen can affect the heart, muscles, lungs and nervous system. It can affect anyone, even those in fantastic physical condition. After one to five days the body will begin to adjust and altitude sickness will subside. In Cuzco, I went out for a walk in the evening and immediately noticed that I would have to move more slowly. This was particularly interesting over the next few days as I adjusted to the altitude. I could walk a few blocks and then I might have to stop at a café or, sit down, or linger in a shop looking at the wonderful items – rather than walking. I was drinking plenty of water and I am sure that that helped. The only altitude experience I had was one of lack of oxygen and it slowed me down, everything went slower. The slowness was not a bad thing; in fact it was quite enjoyable. You simply will not be able to go at the same pace that you might be accustomed to. It was recommended to me never to drink alcohol at high altitude. On my last night there I made an executive decision to enjoy a glass of wine (something I do about 4-6 times a year) and it kept me up most of the night for lack of oxygen. Don’t do it. It’s not worth it. Just forget it. Everything I learned in Peru inspired me to go the route of herbal supplementation. There are herbs we can take to help prevent altitude sickness as well as to support the effects of less oxygen. As with all medical matters, consult your physician about the best approach for youWhat I have to say is a recommendation to be discussed with your physician, naturopath or herbologist….after all; even though it was not ideal for me, diamox or some other substance may be perfect for you. It is recommended that a program including herbs be started a week before reaching the higher altitude. This would probably ensure a very easy transition into the new terrain without any problems. Below are the recommended herbs – consult a doctor, naturopath, or herbalist for dosages and the types or combinations of herbs best for you. My Peruvian friend highly recommended ginseng, so that might be a good place to start. The list below is a suggestion. 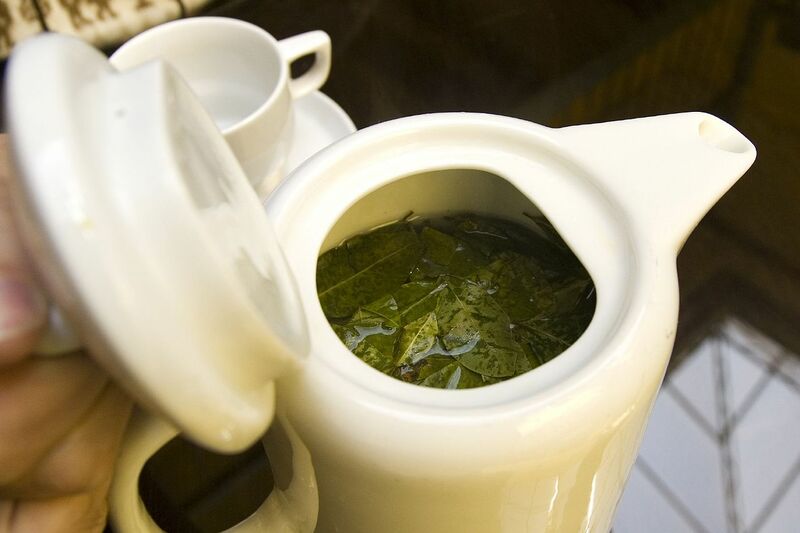 It is traditional to chew cocoa leaves in Peru or drink it as a tea. Everywhere in Cuzco you will find baskets of coca leaves and available hot water to make tea. Cocoa leaves make an enjoyable drink and it definitely does help with the altitude. Here is a list of herbs and possible amounts to take. Do consult someone who is able to direct the kinds and dosages of these substances, should you choose to take the herbal path. Ginkgo – Ginkgo helps improve circulation and therefore helps improve the body’s tolerance to low levels of oxygen. Scientific studies have confirmed these results in humans. Take 120 to 150 milligrams daily. These are usually in the form of capsules. Although not common, side effects are possible. These include headaches and upset stomach. Reishi – This is an ancient Chinese remedy that helps to improve oxygenation to the blood. Take up to 1,000 milligrams in capsule form each day or two teaspoons of tincture three times per day. Herbalists suggest you take the dosage while at a higher elevation and continue taking it for several days after. Ginseng – Ginseng has been shown to help improve blood oxygenation and respiratory function. It is also used in treating asthma and bronchitis. Take up to four 500-milligram capsules daily while symptoms persist. Do not combine ginseng with caffeine, antidepressants or blood thinners, and do not use if you are pregnant or have high blood pressure. Siberian Ginseng – Well known as a tonic herb, Siberian ginseng helps improve overall health when taken long-term. Begin taking a few days before ascending for maximum effect. Take up to nine 500 milligram capsules per day or up to 20 drops of tincture up to three times per day. Ginger – Ginger is an old cure used for nausea. It can be used for altitude sickness as well as motion sickness. It comes in various forms such as tea, tincture, capsules or raw. Take up to eight 500 milligram capsules daily or ½ to 1 teaspoon of ground root per day or 10 to 20 drops of tincture per day. Dilute tincture in water to drink. Do not take ginger if you have gallbladder disease.